Prof Patrick J Schembri graduated from the University of Malta with a B.Sc. in chemistry and Biology in 1975 and M.Sc. in biology in 1977. He was then awarded a Commonwealth Scholarship at the University of Glasgow, Scotland from where he obtained the Ph.D. degree in zoology at the University of Delaware, USA (Fulbright Senior Research Scholarship 1985-86), and at the University of Durham, England (Durham Research Foundation Visiting Fellowship 1992). In 1999 he was elected a Fellow of the Institute of Biology (Britain, now the Royal Society of Biology) and registered as a Chartered Biologist. In 2000 he was appointed Honorary Research Associate of the University Marine Biological Station, Millport (University of London). He is a Full Professor in the Department of Biology of the University of Malta and was the Head of the department between 1992 and 1996. 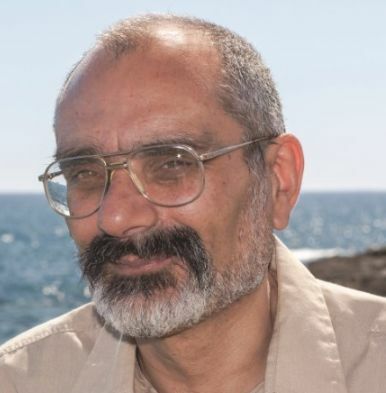 His research interests are marine benthic ecology, faunistics of the Maltese Islands with particular reference to biogeography, and human impact on Mediterranean island ecosystems. He acts as a consultant on the living natural resources and the natural environment of the Maltese Islands to a number of Government departments and agencies and to private enterprise. Professor Schembri’s research group, the Marine Ecology Research Group (MERG), at the Department of Biology, undertakes research in the fields of marine biology and ecology, with special focus on the Maltese coastal and offshore environments. More specifically, MERG’s work covers five main research areas related to marine species and the ecosystems they form part of : (1) characterisation of the different benthic (bottom) habitats of the Maltese Islands; (2) making inventories of the species and species assemblages present in local waters, and monitoring of changes to the Maltese marine life resulting from the current large-scale changes in the Mediterranean marine ecosystem (e.g. changes resulting from warming sea temperatures, species range expansion, invasion by non-indigenous species, or population blooms and declines); (3) assessing the services provided by local habitats and ecosystems (i.e. their resource potential, for example by identifying feeding grounds, breeding grounds, nursery areas and refugia); (4) monitoring the effects of human impacts on these habitats; and (5) evaluating the conservation status of local coastal and marine living resources. Research interest: marine benthic ecology, Impact of environmental change on Mediterranean coastal and marine biodiversity, faunistics of the Maltese Islands with particular reference to biogeography, human impact on Mediterranean island ecosystems.